There's nothing more important than our good health - that's our principal capital asset. Just the way everything needs regular maintenance for long life, similarly our body also needs regular check ups and monitoring for us to lead a healthy and long life. 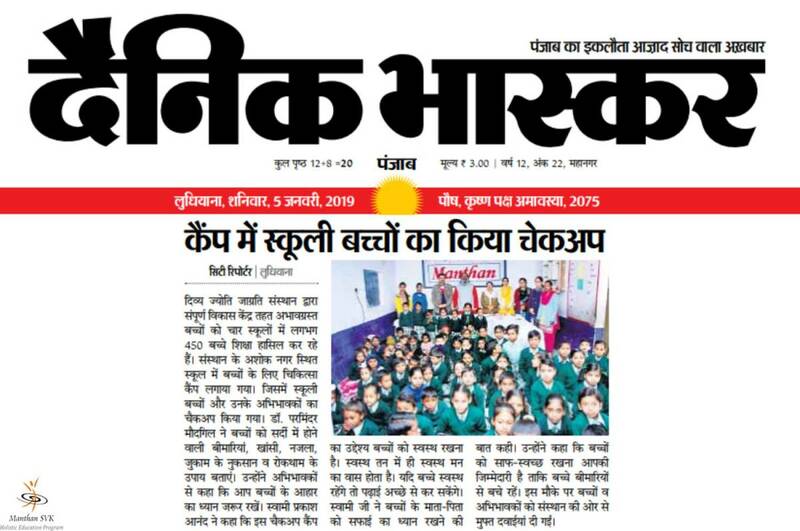 As has been said “Health is wealth”, following this thinking, Manthan-SVK, an initiative undertaken by Divya Jyoti Jagrati Sansthan organizes various health check up camps for the benefit of all students. 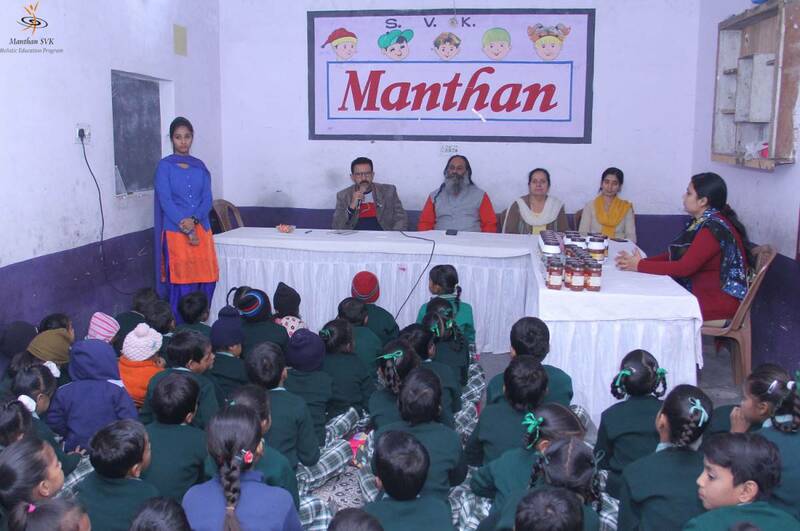 Manthan SVK not only focuses on the education of the underprivileged children but also takes into account their overall development. 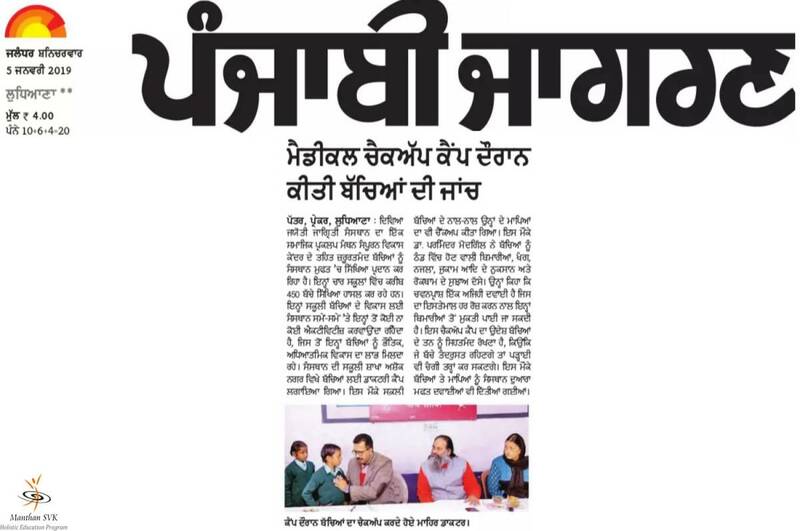 Such a medical camp was organized in Ashok Nagar, Ludhiana, Punjab on 4th January 2019 from 10 am to 11.30 am. A number of 80 students were the beneficiary of this camp. 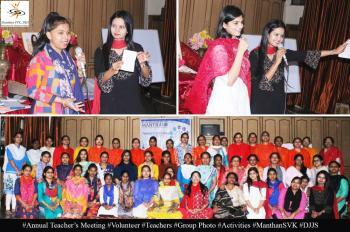 Dr. Parminder Moudgill was the esteemed doctor who was a part of this Noble camp. 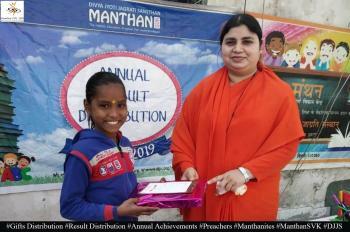 Swami Prakashanand Ji and Sadhvi Rajni Bharti Ji represented Manthan SVK at the camp. 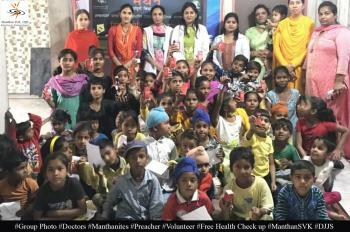 Doctor examined the children for various diseases. 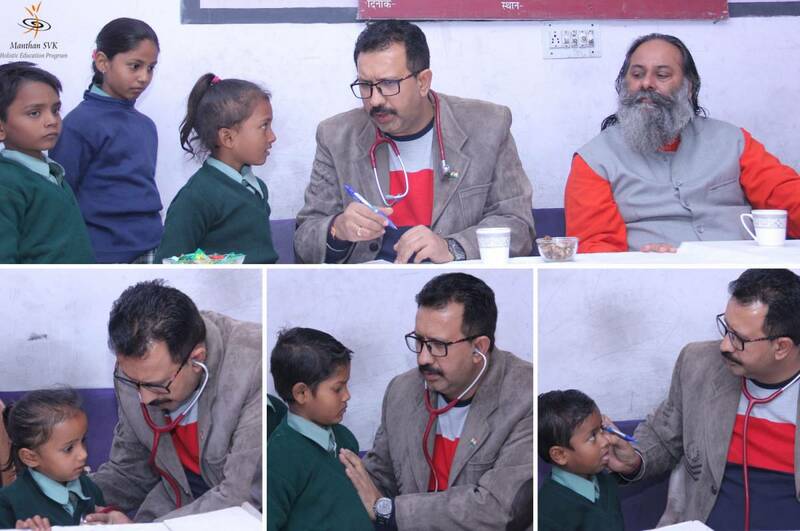 Along with the regular check up, the doctor also emphasized on the importance of nutritional diet and exercise for the children. The doctor also stressed upon the importance of maintaining personal hygiene. Free medicines were also distributed to the children. Many important suggestions were given to the children for maintaining their health. Swami Ji also stated that “A sound mind lives in a sound body”. 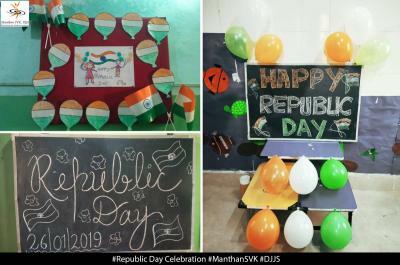 This is why, at Manthan SVK, we focus on the overall well being of the students. All the children and the preachers thanked the doctor for their complete support in the camp and making it a success.